The other day I was looking through my collection in my library and I came across three books concerning “Earthships.” There was a time, back in my university days, I was so passionate about them and I thought to myself why I am not thinking about them anymore. Flipping through the pages has raised my interest again. 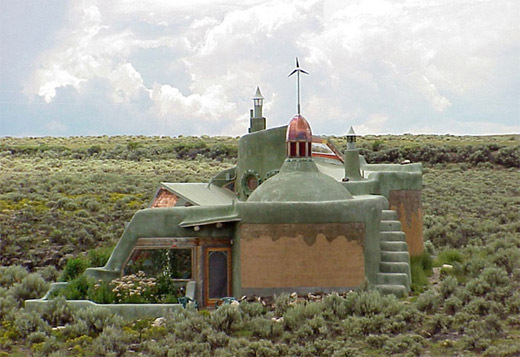 If you are unfamiliar with what an Earthship is, I will tell you about them. An Earthship is a home! The concept was invented by architect Michael Reynolds. Originally they were designed to be 100% off the grid, but today they can be on the grid too depending on where you live. 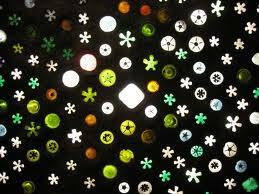 They are constructed from recycled materials and adobe. In wetter climates sometimes cement is used in place of adobe. They are organic and their design is limitless and open to your creative vision. They are often built into the side of a hill or they can be covered over with fill to create your own hill for insulation. The front faces south for maximum warmth in the winter and cooling in the summer. They are designed with a grey water system from sinks and baths that irrigate a built-in planter for indoor gardening year round. I should mention that not all Earthships are tiny or small. In fact there are many that are large; however they can be made any size, which is why I include them in the Small House Series. I should also mention to have these homes constructed by a company such as Earthship Biotecture the cost is comparable to a conventional home. 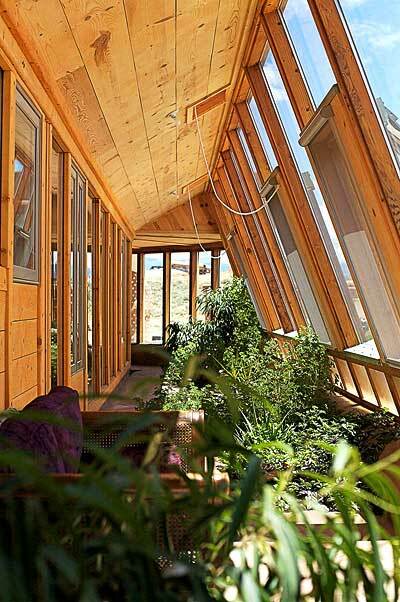 They do provide classes on how to build one yourself at the Earthship Biotecture Academy. 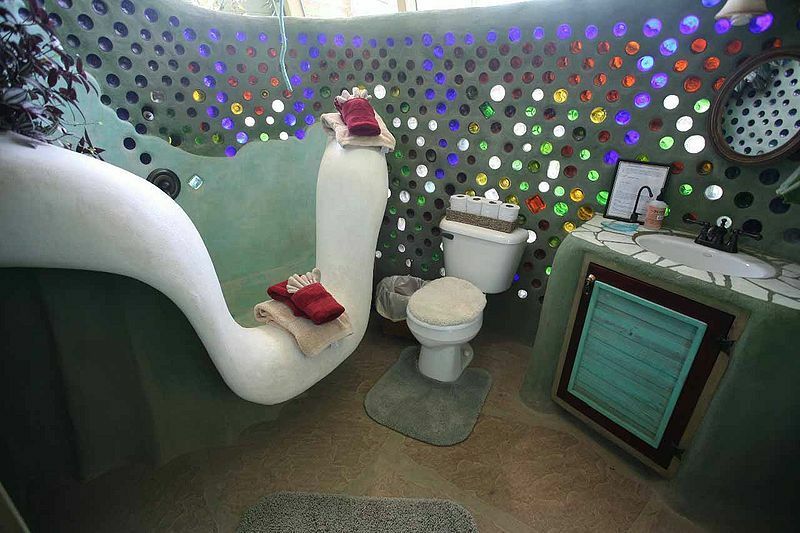 When Earthships were first developed you could find them mostly in the area of Taos, New Mexico and had to be constructed out in the desert due to unbending local building codes. Now a days they are beginning to pop up all over the world like this one in the United Kingdom. As I stated earlier the designs of these structures are almost limitless. The Nautilus, in New Mexico. The construction method is called rammed earth and they use upwards of 70 recycled tires. The tires form the framing on the backside of the structure. Often recycled soda pop and beer cans are used to fill in between the tyres. Then the whole thing is covered in adobe. In the winter when the sun is lower on the horizon the light shines in striking the walls. The heat is transferred to the tyres and cans. Then at night the warmth radiates out from the walls all night keeping the living space warm. Working in adobe or cob construction allows you so much creativity. 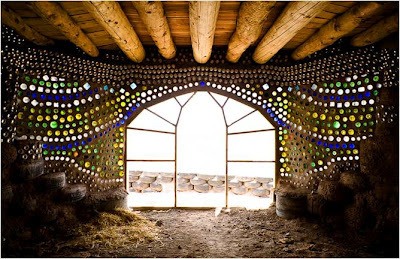 Often in an Earthship people will use different coloured bottles and create beautiful stained glass like windows and walls. This will be a gorgeous room once completed. 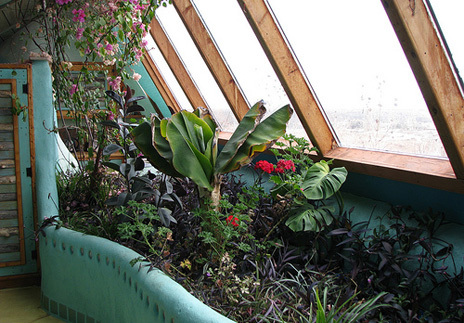 The Earthship was designed most of all to be self-sufficient. 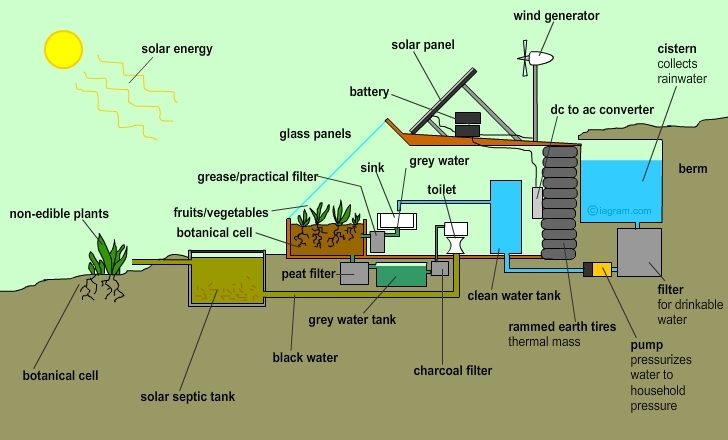 Being off grid producing its own electricity, having its own cistern and being perfectly insulated for maximum comfort. As well the grey water system provides irrigation for the built-in garden bed with the plants providing you fresh vegetables and clean air. Tropical plantings in a desert! I love the organic flow of these homes! I have been to the deserts of New Mexico and I do like it there, but I am not so sure I can leave behind the greenery of the east coast. I love to garden and I am not so sure I could grow what I would want. I probably could, but I would use a lot of water and more than any cistern would provide year round. However, an Earthship can be built anywhere and in any climate so perhaps I could build in North Carolina. Yet another possibility! 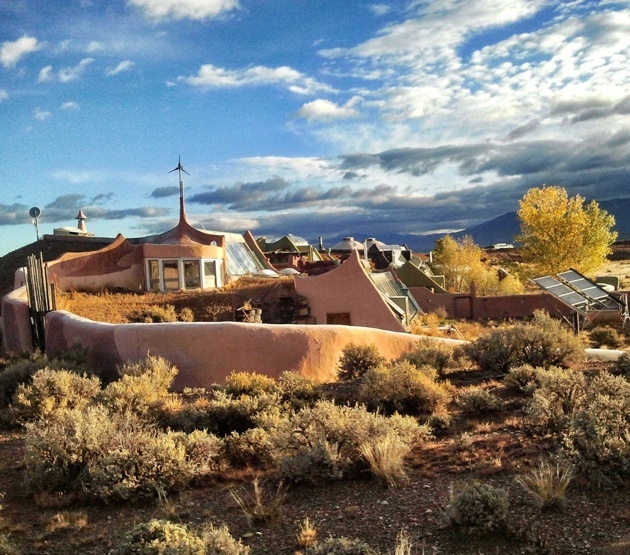 Would you live in an Earthship? The basic design of the Earthship is so it receives optimal heating and cooling, but I would imagine it could be altered and especially the working systems of the Earthship could be adapted to alternate styles. Hi Mike . . . 40 years building stuff . . . loving yours even MORE than mine!